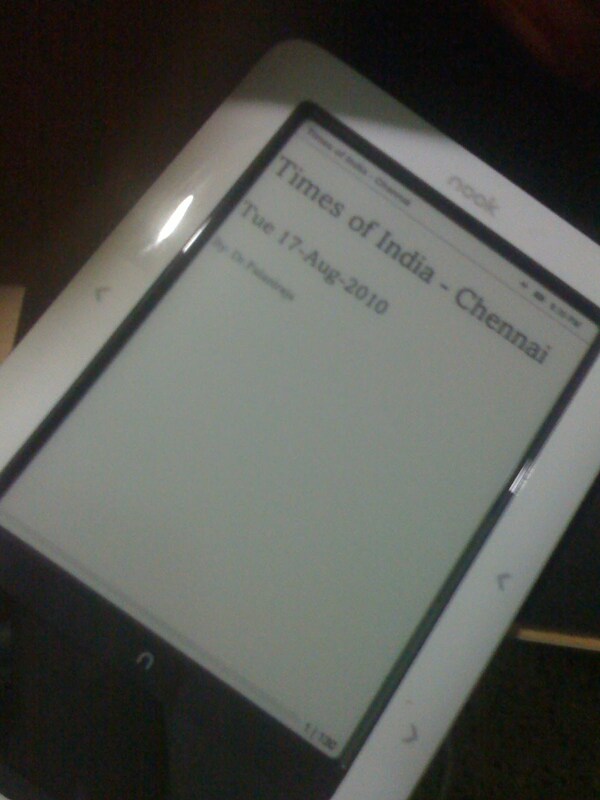 It is a PHP script that helps you to convert Times of India (Daily newspaper) to EPUB. 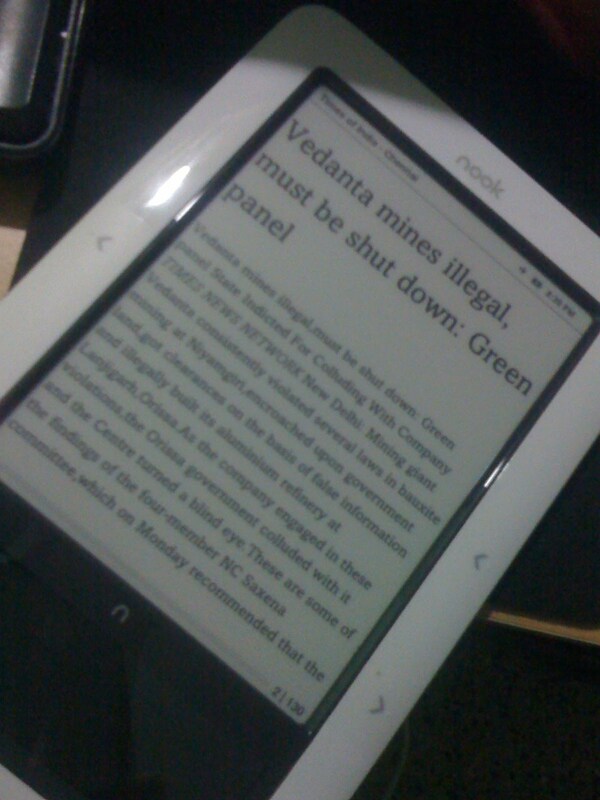 There is a great open source utility Calibre which can convert any RSS to EPUB. But I prefer to have exact content what I see in the daily. Eg., I read only selected section like Front page, International, Sport. 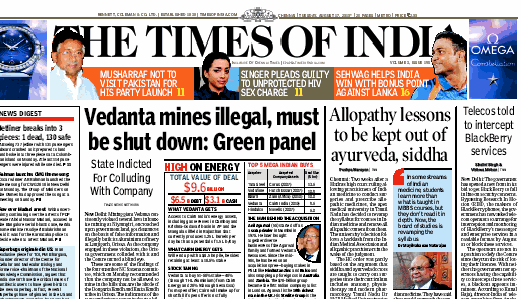 Times of India allows you to download Complete PDF version which is very large, close to 300Mb. I did a quick search to see if there is any ebook version available but the results are negative. But they do have a mpaper which allows you to browse exact navigation of their printed copy. Unfortuntely their mPaper version is not organized such a way we can customize it for ebook readers with Userstyles or Userscripts. 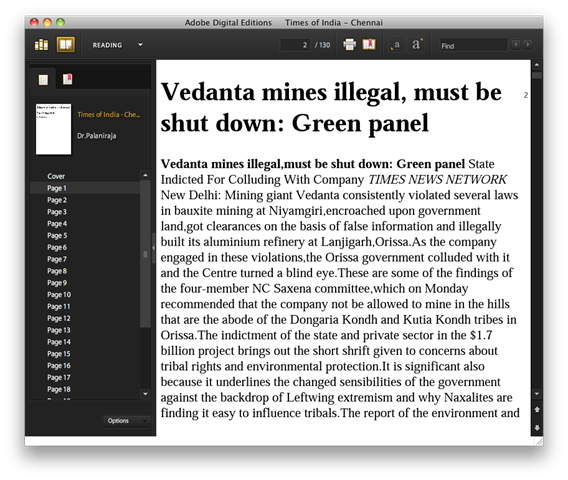 Here is the sample EPUB with articles of first 5 pages (Aug 16 - http://bit.ly/c9upKD Aug 17 - http://bit.ly/9J7FJ9). Need to fix some issues like formatting, inline images, organize articles by section instead of page and CSS. I’m planning to open source the prj for other interested people to work on it. Will post more details this weekend. Send me your feedbacks & ideas. P.S - The reason behind this is their mobile friendly website design is crappy and no alternative for ebook readers. Yep! first of its kind (Indian Daily available in EPUB) and I hope I’ll be able to host it somewhere soon for others to use it.